High quality 2-way audio system for the sophisticated acoustics of the living room. Developed in Germany with great passion and attention to detail, the PRESTIGE has been specially designed for the sophisticated acoustics of the living room. The two coaxial loudspeakers and the powerful subwoofer guarantee an exceptional sound quality. 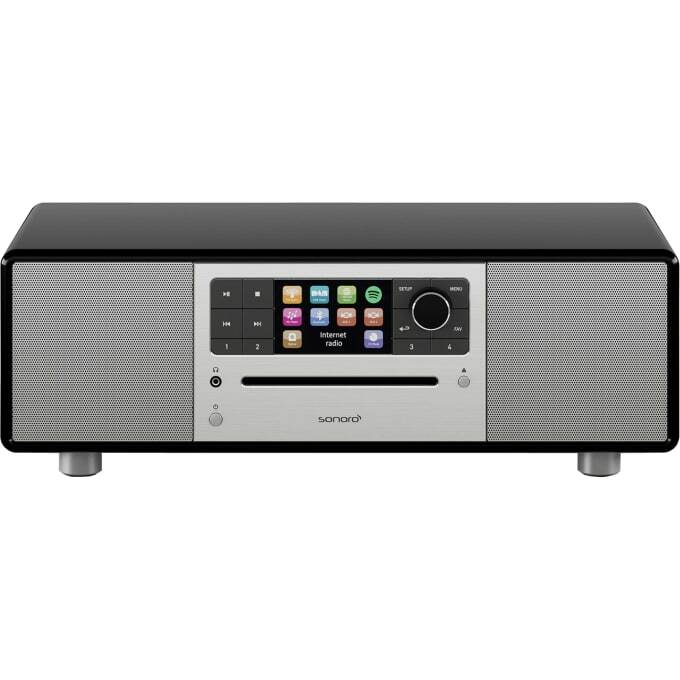 Thanks to modern functions such as the CD player, FM and DAB+ digital radio, Internet radio, Multiroom, Bluetooth® connection and Aux-In input, the PRESTIGE is equipped with everything you need for a simple musical enjoyment. You can also access the Spotify Connect music streaming service. The audio technology aptX™ Bluetooth® guarantees a high-level streaming. The PRESTIGE has an optical digital input which is ideal for connecting your TV and enjoying optimal stereo sound. Thanks to the bi-directional Bluetooth® technology it is possible to connect PRESTIGE to Bluetooth® wireless headsets. A special effort has been put on the ease-of-use to let you enjoy an unprecedented musical experience. sonoro audio gmbh & co. kg from Cologne proves itself as a manufacturer of audio lifestyle electronics with the concept designed and engineered in Germany and a strategy of consistent quality. Do you have a question about "Prestige"? How can we contact you?